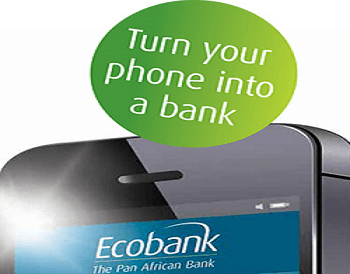 The digital transformation agenda of Ecobank Nigeria limited aimed at enabling its customers depend more on its digital platforms to do their daily banking activities, thereby reducing the need to go to branches has reached an advanced stage. Already, 74 out of its 479 branches of the lender have been optimised into the scheme, making the bank deliver enhanced services leveraging more on its digital channels. Speaking on the development, Managing Director of Ecobank, Mr Charles Kie, said the move was part of the financial institution’s transformation agenda meant to create a fundamental shift of its banking activities to digital channels, as well as improve customers’ experience, while also reducing the cost of serving them. This also supports the bank’s financial inclusion strategy and the cashless policy of the Central Bank of Nigeria (CBN). Mr Kie further said as part of this strategy, the bank has enhanced its Retail Internet Banking platform with much speed and flexibility while also strengthening the Ecobank Mobile App that enables customers do instant payments, open accounts as well as do instant transfers across 33 countries in Africa. The Ecobank App, the first of its kind in Africa, has an innovative payment solution, theEcobank Masterpass that allows customers the convenience to pay for goods at merchant locations by simply scanning a QR code on their phones. “After a detailed analysis of the physical network of branches needed to serve our customers, the decision was made by the Ecobank Nigeria Board, and approved by the CBN, to optimize 74 out of its 479 branches. “With the merger, Ecobank now boasts of 405 branches across the country supported with top of the range technology application,” Mr Kie said. He emphasised that most of the staff in the affected branches would be moved to other projects. He reiterated that this is a well thought through decision expected to fundamentally shape Ecobank’s business for better performance.